By the early 1920’s General Motors realized that Ford, which was now selling the Model T for $290, had an unbeatable monopoly on low-cost automobile manufacturing. 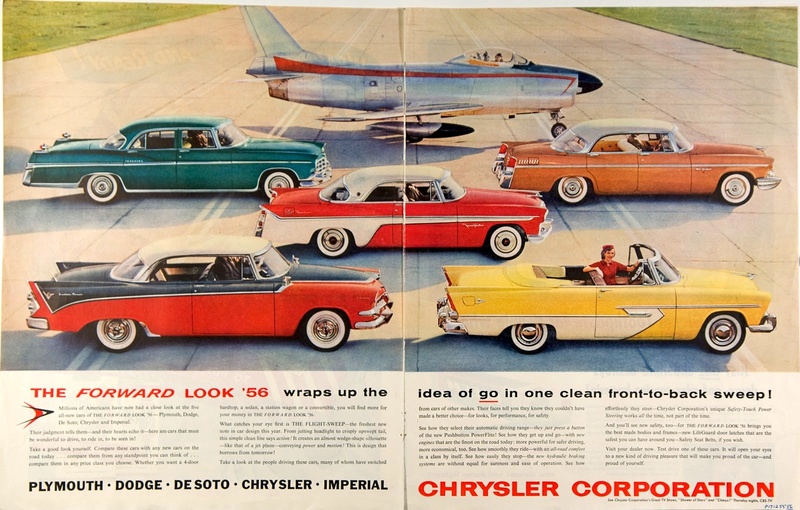 Other manufacturers had experimented with selling cars based on an image and brand. 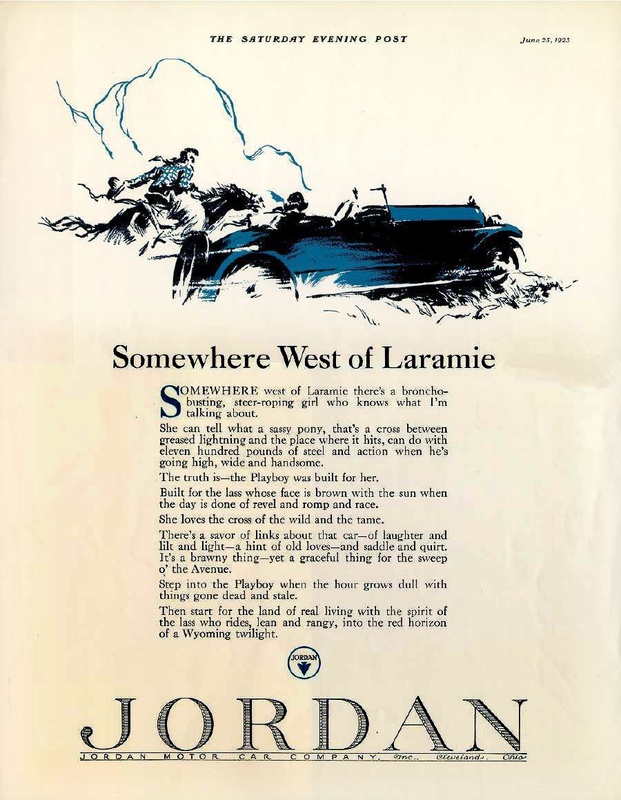 (The most notable was an ad by the Jordan Car company.) But General Motors was about to take consumer marketing of cars to an entirely new level. Before Earl, cars were designed by in-house body-engineers who focused on practical issues like function, costs, features, etc. Each exterior component was designed separately to be functional – radiator, bumpers, hood, passenger compartment, etc. Some companies used 3rd party bodymakers to set the style , but GM was the first to take car design away from the engineers and give it to the stylists. The concept of yearly “improvements”, whether styling or incremental technology improvements, every model year gave GM an unbeatable edge in the market. (Henry Ford hated the idea. He had built Ford on economies of scale – the Ford Model T lasted for 19 years.) Smaller car makers could not afford the constant engineering and styling changes they had to make to keep competitive. GM would shut down all their manufacturing plants for a few months and literally rip out the tooling, jigs and dies in every plant and replace them with the equipment needed to make the next year’s model. By the mid-1950’s every other car company was struggling to keep up. Over the last five years Apple has adopted the GM playbook from the 1920’s – take a product, which originally solved a problem – cheap communication – and turn it into a need. This is a great and instructive essay Steve, thank you. It is certainly impossible to argue against the mid-20th century success of GM or the last decade success of Apple. However, what leaves me wanting more is that the “tail fin” culture of GM also became its strategic weakness, falling victim to the engineering/quality/value culture (and 4-year product cycles) of Asian imports. I will admit my bias: while I agree that there is a very real market based on fashion, when form is at odds with function it says more to me about the consumer than I think they realize or intend. Part of Apple’s success has been to master both form and function. Further, its product line is starkly simple compared to the competition (Model Ts were “available in any color you like, so long as its black”). AppStore’s 3rd party apps provide the “tail fin” mass personalization. Stephen: I spent some time in the auto sector – not much, but enough to see what was going on. You could not be more wrong about GM. What GM did was this simple: it forgot the Sloan strategy. It took every brand and gave it a top to bottom set of models. Now the brands had no individual position in the GM stack (let alone the consumer’s mind). It got to the point that you could buy a Caddy for a lot less than some high end Buicks. And, when that strategy kept failing, they decided to build the same car for every brand and try to convince consumers there was a difference that was not ‘skin deep’. They failed. Had GM just stuck to it brand structure, they would have fared far better. FWIW, what the tech sector knows about brand management would not fill a thimble. Steve’s post is exhaustive and well thought out, but it has been standard fare case study material for 30 years, outside of tech. Tech’s greatest shortcoming, as a sector, is its insularity. This is a really nice marketing history lesson that is quite timely and applicable to today. If you are willing to expand a little bit on manufacturing costs, how does the existence of companies like Foxconn impact manufacturing cost advantage (what you called “strengths in reducing costs”) relative to automobile manufacturing in the 20th century, and how do you think this impact affected Apple’s success? In particular, to what extent, if any, do you think contracting the manufacturing process out to a specialist helped Apple negate some of their competitors strengths? I agree in part, Steve Jobs learned from others and I have no doubt that he learned from GM. But Apple is not only aesthetics and luxury, it is also the best one. When I was a child I will take parts to make my own computer because it was cheaper, now I just buy mac because their laptops are stronger(as they are carved in metal) and the battery last double what anyone else does. It also works, and my time is not free anymore(I also use Linux witch you need to constantly maintain). Today in computers Apple is BOTH Ford and GM. They make millions of exactly the same device like the ipods , iphone or imac with the best advantage in mass production(Ford Ts on a global scale) and also they have taste, and update their products constantly before competitors do. Jose – this is a great turn of phrase, but I think it is important to mention that in the mid-20th century, GM was both Ford & GM, as you put it. And, for over 40 years, all you had to say was Cadillac and people new you mean top of the line. Now, if you want to compliment people in tech, you say “they are the Apple of their space”. Should be said that the long term results of the ““dynamic obsolescence” were less genius. Educating people to define themselves by buying things they don’t really need, consumerism which may be part of this never ending depression, put “new” before “fix” which encouraged cheap less quality products produced elsewhere, global garbage and disposal problems, resources depletion and long term damage to the planet. Let’s hope that Apple will avoid all these traps. Great post Steve, as always, entertaining and educational and relevant. PS: E.g Remember why Steve Jobs decided to get rid of the keyboard? A hardware difference became a software difference. Months making physical keyboards and manufacturing processes, and testing, QA, and solving logistics problems, and politics( in Europe there are countries with 3 or 4 national languages) became a single software update of the same device. It removed something like 3 months time in “time to market”. It sounds like a Ford T for me, just in two colors now instead of just one(“Any customer can have a car painted any color that he wants so long as it is black”). I see different tree macs and zillions of Acer PCs models. Nokia and Motorola and Samsumg sell you zillions of different models too. Woz said that one of the greatest moments he had with S.Jobs was when he showed him the game “breakout” in software made on a couple of hours when it used to take months to design in hardware. Jobs knew that was huge. I was eager to find out where you were going with this after reading part one. Although it ended up exactly where I expected, I am quite disappointed in the path taken. Although you spend thousands of words describing in detail the history of General Motors’ marketing strategy, you spend no time comparing and juxtaposing it to Apple’s history this past decade and a half. Indeed, your whole argument boils down to nothing more than a recitation of your initial thesis. What exactly do you believe to be Apple’s equivalent of a tail fin? In my eyes, tail fins were ornamental extravagances. Aside from their primary purpose of differentiating one year’s car models from the previous, they had no intrinsic value. I believe you make a similar claim and position them as mere marketing devices. What are examples of ornamental extravagances (physical and otherwise) on Apple products whose sole purpose is to differentiate them from older models but have no function otherwise? Do Apple products have anything that would count as purely ornamental that are changed year to year simply for marketing purposes? Apple products (specifically the iPhone) do change every year but I attribute that to the pace of technological change implicit in our industry. Moore’s Law is still relevant, and as long as it is, meaningful changes and improvements will continue to take place. One could even argue that Apple’s product development schedule purposefully *slows down* the pace. Witness iPhone model numbers the past four years: 3G/3Gs, 4/4s. Apple could certainly have come out with the iPhone 5 this year, to everyone’s acclaim, but refused to do it. I speculate that they decided that this year’s model wasn’t good enough to warrant a new number, despite all its improvements. Tail fins were a marketing ploy. A gimmick implemented that displayed a complete lack of respect for the consumer. If Apple is known for anything, it is for their devotion and respect for their customers. To say that Apple’s advantage is purely marketing is an obsolete idea. It is a discredit to the actual innovations that the company has created. If there were no iphones, android phones would look like the RIM blackberry phones…I am sure people using android phones would double up laughing about that. I’m sadly disappointed in this post. I see few parallels between the two other than popularity and the basic product cycle. GMs strategy was based around style, and he iphone’s strategy is based around features. The 4s even debates this thesis since the biggest complaint from the public was lack of a new body style. I upgraded to 4s because it’s 4 times as fast and twice the resolution of my old phone. “Apple did to Nokia and RIM what General Motors did to Ford”.. – Not exactly true, since Nokia also had brands for each style (common, luxury..), Apple got other strategies that made it popular, like simplicity (use and look) and complementary products with unique business model (iTunes, appstore) that brought added value to the device. So even though I think the overview of GM is fascinating, I don’t think Apple has much in common. Market Segmentation: Growing up in Detroit in the 60’s and spending our weekend nights crusing north Woodward avenue in Bloomfield Hills looking for the next hot cars to street drag, I can tell you that we were obsessed with the size of the engines, transmission, power differentials and other speed features in the latest models. Whether it was a hardtop or sedan didn’t matter to us. We got obsessive about modifying the performance…. not unlike yesterday’s teanagers that overclocked their CPUs to hypeup their gaming box. This was the beginning of the muscle car era, which was built around power trains. The Big Three design teams would come up with model designs specifically to differentiate the increases in their HP and powertrains. It was a race for speed. And, while they didn’t have the mass appeal, for decades, the Chrysler Hemi was the biggest and baddest engine block powering its muscle cars. The absolute favorite for the drag strip wars. This engine kept Chrysler relevant during this period. In this speed war within a larger war, there were two iconic models that defined this battle, the Corvette and the Mustang. Each won the battle for their respective segmens, based on the foundation of performance first, over design changes. Case in point, few argue against the design beauty of the Ford Thunderbird. Better looking, but lost the war. Over the past two decades or so, the majority of changes in the Corvette have been under the skin… engineering changes. Year over year, the Corvette has ranked at the top of the world wide list for price-performance in sports cars. This suggests that when you achieve a dominent market position, you can concentrate on the incremental engineering changes that make for a better product. I have to agree with some of the other commentators pointing out that the article overlooks (or drastically minimizes) the underlying technical improvements of each iphone release – even from 3G to 3GS. It’s not quite the same as replacing a perfectly functioning car because the new model has different styling. It really is a whole new and more pleasant experience with a more capable device when you upgrade and that’s the driving factor for most people. Maybe a more apt comparison is apple and japanese car manufacturers vs nokia (traditional cell phone) and american car manufacturers. 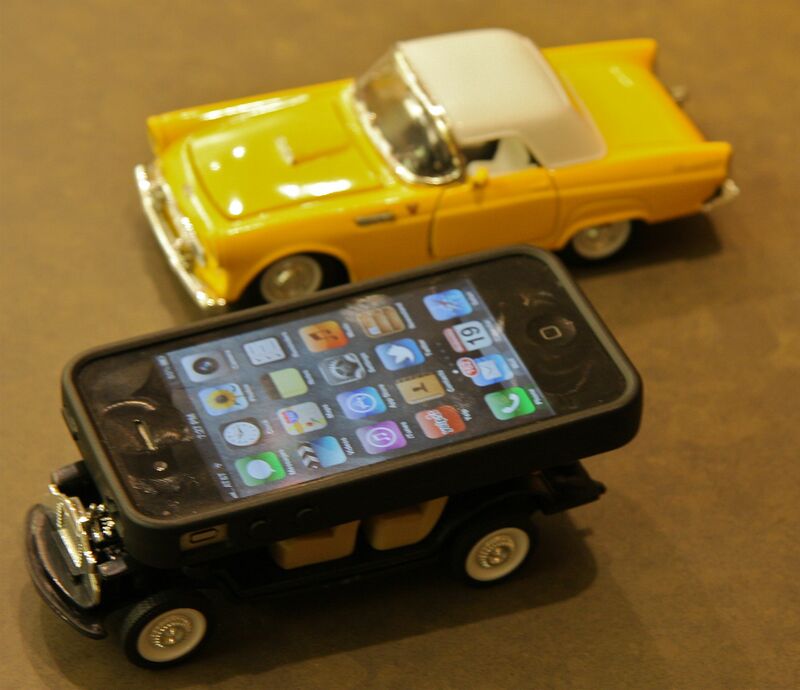 Apple and the japanese car companies pursued incremental (lean?) improvement cycles until their product was far and away better than the traditional phone (or american car) and then they came to dominate the market and held their lead by continual improvement. Given your lean background, this would seem to be a more apt thesis. Think about Lexis vs Cadillac (or even BMW). Toyota started out making pretty crap cars and then made good cars and then took all that engineering expertise and invaded Cadillac’s luxury space and literally blew them away. I would love to hear your thoughts on this phenomena, Steve and how it applies to technology. The title of the article made me check my iPhone for tail fins…..
All I can offer the commenter’s who didn’t understand the post is the following. My professional career started in the mid-1970’s climbing in the steel above automobile plants around Detroit and the midwest installing broadband process control systems. I was always fascinated by the synchronized mechanical ballet of the parts moving down the line and how the workers turned raw sheet metal into finished products. I’d wander around the plants during my spare time watching each of process steps. During the shutdown for model change-over I worked as they literally bulldozed existing assembly lines underneath me to make way for the new ones. Even as young as I was I remember being simultaneously appalled at the waste and impressed that they could afford to do it. My love affair with cars came of age as I did as a teenager in 1960’s – just as the country’s was ending. Each fall I waited with bated breath for the new model years to come out. I followed all the leaks about the new models and I could tell you every new feature of the cars. My friends and I argued about Chevy’s versus Fords with the passion of iPhone versus Android. We were convinced that our brand was the “best one” and tolerated our friends’ seemingly inexplicable character flaw in failing to see the light. We’d laugh at our friends choices in cars saying theirs was all about chrome and sheet metal while our choice was all about the real features – engine, drive train, etc. (read A5 processor, memory, Siri, etc.) In the end all of us were suckers to brilliant marketing. A car was transportation. I didn’t need the new features and my friend didn’t need the new styling – but we wanted it. In fact, that’s an understatement – we lusted after a new car. When I came home from Southeast Asia during Vietnam, the first car I ever bought was 1968 Delta 88 with a four-barrel 455 Rocket V-8. I learned how to set the timing, change the oil and head gaskets and once – painfully – rebuild the carburetor. I’ve worked on computers for almost 40 years and came out to Silicon Valley more than 30 years ago. In the entire history of computing, Apple is the first company to truly get, capture and replicate the genius of Alfred Sloan and Harley Earl. Steve Jobs and Jony Ive are their true heirs. He might have borrowed the business model, but certainly not the ‘styling’ (eek!) Steve Jobs was a Euro car kinda guy – SL55 most recently. The pictures look great. Thanks for entertaining my Saturday afternoon! @steveblank But transportation is not the only need you have in your car. A friend of mine sells things and he has to carry people on their car almost daily. He “needs” this people to feel comfortable, he also “needs” to park it easily and consuming as less fuel as possible. Other people needs the car to go to the mountains or dust roads so they can work as civil engineers, or to carry equipment. Those are real needs and is the marketing job to identify them and prioritize and supply those that are economically feasible. Marketing is not only lights and makeup, they also have to tailor customer needs with the right products. What you imply with “tail fins” is that changes are of negligible utility and satisfy no need. As someone already said Moore law is alive so processor and memory grows up ENORMOUSLY on a single year(2x, 3x) so what you can do with the phone(needs) changes dramatically over time. The ability to do good speech recognition on a mobile device, either on an Iphone or Android is a significant boost on productivity for a lot of people, maybe not you. If the car analogy was real, we would have cars that could fly at supersonic speeds, or could carry trailers and 5000 people on each one. Interesting piece, Steve. A number of people pointed out some of issues I had with the construction – overall, so I won’t repeat. The words that got me were near the very end. As far as the emotional part, I agree. Apple has done nearly and unparalleled job of finding that emotional connection with its customers. It is, perhaps, that connection that causes me some unease and leads to my next point. I get the concept of symbolism, but there’s something inherently wrong with it to me. Perhaps the parallel with people driving a particular car, a tail-finned Cadillac, is on point. A lot of people define themselves with their cars, and the definition is projected onto other people. Just some [ignorant] people associate their worth, and the worth of others, based on what they drive or where they live; a large group of iPhone-toting users do the same thing. That symbolism is merely a synonym for holier-than-thou arrogance or, to use a oddly popular term of the day, douchebaggery. Case-in-point ; michaelndn raises a familiar, inane assertion that without iPhones, Android devices would be utilitarian bricks. Of course, that’s just silly. iPhones wouldn’t be what they are today without the work of Palm and Microsoft. Apple, no doubt, raised the bar, but to suggest that competitors couldn’t innovate without the iPhone’s example is a glaring example of the Kool-Aid sipping so many Apple users fall victim to. Look, Apple makes good products. I’m an owner. What I don’t believe, however, is that Apple — iPhones in this case — are the holy grail. There are a lot of compelling products out today, Android being one of them. Excellent article and thinking. One of the few worth sending around. Thanks. Loved it Steve, I cringe when I hear tech companies disregard all prior business wisdom because tech is “so different the old rules don’t apply”. Business is business. Supply and demand. Efficiently and effectively meeting your customers needs (or in some cases creating customer need). Keep up the historical perspective posts. Love reading them. The wealth created as a result of the automobile – drive thru’s, malls, suburbs, etc – was larger than the wealth created in the auto business – the auto was the vehicle to get to the end value (not counting Sunday drivers, who ultimately ate at Howard Johnsons or whatever) – Job’s, via software ( and UI innovation/cloud exploitation) delivered the value to the consumer and they owned the cars as well. That is not just marketing. Nokia and RIM stayed in the car business, Apple was in the value delivery business. Steve liked to use that quote from Alan Kay, something like: “If you like software, you need to build your own hardware” I took that to mean, Software is the method of translating creativity to reality but sometimes the client didn’t have the capacity to execute on your imagination – herein lies an opportunity for Car Companies – how can you adapt our hardware (the car) to execute on your imagination? Having the imagination, well that’s another thing – but since we are on the subject – GM partners with Facebook to create the socially networked car – with a wireless capability and LCD paint – the car allows you to show how many likes (or newer verbs) you receive after your drive down main street – (of course these are posted on FB as well) etc – I am waiting for the Wikipedia enabled Camper that helps with my random trips around the country – so why these idea indulgence’s? Because it’s not the tail fins that make the iPhone so great, it’s all of these ideas – very very interesting piece BTW – oh, and anyone know that date of the Tim O’Reilly /GM hackathon? Perhaps a more interesting thing is that Jobs was the combination of Sloan and Durrant, with the same company, 20 years apart. As great as the iphone’s marketing was, its real success was a true market fit. For years there just wasn’t a good pda/phone/camera/music player combination though all of them existed as different devices.. I remember being frustrated that i had to carry a camera and a phone around all the time. the iphone delivered all that and then some. After looking at some of the other research work you’ve done at your well-crafted website, it’s easy to see why you caught on quickly to the amazing similarities between GM (of fifty years ago when it was well on its way to becoming the greatest company of the 20th century…in numbers, stats and finance) and the meteoric take off of Apple over the last 5 to 7 years. I’d love to have a conversation sometime! Great article. These guys that think tails fins are simply “ornamental extravagances” will never get it. They’re not car guys. I would kill for a ’59 Cadillac, but I’ve passed up many, many ’60 Caddys. I’m glad you added the bit about your broadband work in the rafters of Detroit…it gave me a new sense of appreciation for your experience and insight and added a personal depth to the article. Style and design are not fully independent. Sure, they can be separated and hacked together, but you don’t get a ’59 Cadillac from that….or a 2011 iPhone or a 1992 Braun electric razor. Marketing a brand is not about ornamental extravagances. Edsal and Studebaker had plenty of those, but they failed to capture customers. They seized on styling innovations but couldn’t market the brand! White ear buds on the iPod…brilliant! That’s not a silly stylistic choice (even though it has nothing to do with function)…that’s marketing a brand! Ask anybody that just shelled out 6-figures for a tail-finned masterpiece if they’re buying “ornamental extravagances”. I think not. Should we be proud of these “innovations”? What I am reading here is waste, terrible waste, waste that our earth cannot afford much longer.